Christian Gerhaher (born 1969 in Straubing) is a German baritone and bass singer in opera, concert and notably Lied. Christian Gerhaher studied with Paul Kuen and Raimund Grumbach at the Hochschule für Musik und Theater München, and Lied with Friedemann Berger, already together with his accompanist for decades to come, Gerold Huber. He took master classes with Dietrich Fischer-Dieskau, Elisabeth Schwarzkopf and Inge Borkh. He was a member of the opera in Würzburg from 1998 to 2000, performing in Thomas Hengelbrock's production of Così fan tutte, in Weber's Der Freischütz with the Cappella Coloniensis, and Papageno in Achim Freyer's staging of The Magic Flute. a role that he sang as his debut at the Salzburg Festival in 2006. In 2005 he portrayed the title role of Monteverdi’s L'Orfeo at the Opern- und Schauspielhaus Frankfurt where he appeared as Wolfram in Wagner's Tannhäuser in 2007. In concert he has collaborated with Helmuth Rilling, Nikolaus Harnoncourt, Neville Marriner, Philippe Herreweghe, Heinz Holliger and Trevor Pinnock, among others. Christian Gerhaher has performed and recorded Lieder with pianist Gerold Huber, such as Schubert’s Winterreise, Die schöne Müllerin, Schwanengesang and Gesänge des Harfners. His Schubert album Abendbilder with Gerold Huber won a Gramophone Award for Solo vocal in 2006. More songs with piano or chamber ensemble have included Brahms' Vier ernste Gesänge and Martin's Jedermann Monologues, Mahler's Lieder eines fahrenden Gesellen and Kindertotenlieder. He participated in the project of Anne Sofie von Otter to record songs written in the concentration camp of Terezín. Supported by her pianist Bengt Forsberg (also accordion, guitar and double bass) and his, Gerold Huber, Bebe Risenfors (accordion, guitar), Ib Hausmann (clarinet), Philip Dukes (viola), Josephine Knight (cello) and Daniel Hope (violin) they perform music written in the concentration camp by the artists Ilse Weber, Karel Švenk, Adolf Strauss, Martin Roman, Hans Krása, Carlo S. Taube, Viktor Ullmann and Pavel Haas. With Rilling and his Gächinger Kantorei he appeared at the 70th birthday concert in 2003 and recorded Bach's Mass in B minor and Christmas Oratorio and Britten's War Requiem, among others. In 2009 he was awarded the Rheingau Musikpreis of the Rheingau Musik Festival. He appeared at the festival in 2010 with Gerold Huber to celebrate Gustav Mahler's 150th birthday, singing Sieben Lieder aus letzter Zeit (Seven Songs of Latter Days) and from Das Lied von der Erde the movements Der Einsame im Herbst (The lonely one in Autumn) and Der Abschied (The Farewell). In 2011 they performed the composer's Lieder eines fahrenden Gesellen, Des Knaben Wunderhorn and Kindertotenlieder. In 2010 he was awarded the Midem special prize "male vocalist". 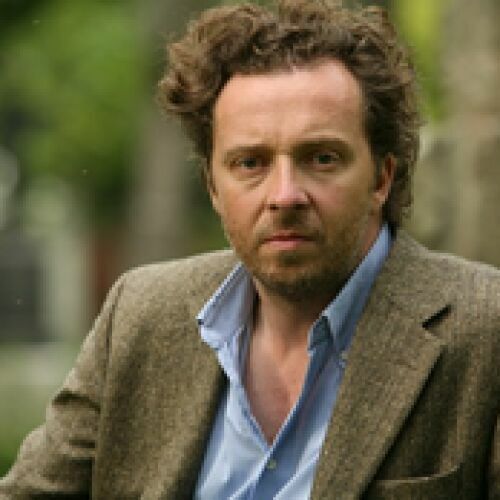 Christian Gerhaher is a professor at the Hochschule für Musik und Theater München.